Swedish power-metallers Civil War recently completed an epic 24-date tour of Europe supporting Gloryhammer. Unfortunately, due to some gremlins in the system, we were unable to photograph and review the London show, but big thanks to Daniel Myhr for taking the time to answer some of our questions. This is the last date of a 24-date tour of Europe. How has it been and what has it been like being on the road with Gloryhammer? It has been really great! We knew we were in for a hard tour when we accepted it. I mean, 24 gigs in 24 days is not the easiest thing to do. All the bands have got along really well, and it has been more or less a really pleasant experience for all of us. Which was your favourite city to play in? That’s really hard to say. All places have been really good in different ways, but I must say that Barcelona and London were probably the highlights of this tour, though everything has been really good. Do you find that you get a different reception to your music in different cities? Well, that you can say yeah. But you also gotta have in mind that in some places we play on weekdays and not weekends. I guess people are a bit more reserved on weekdays since most of them will probably get up to work the day after. Unfortunately you can’t play only weekends on a tour. You would lose way to much money on it, and the tour would last 3 and a half months instead of 3 and a half weeks. This is the last show of the tour do you have anything special planned or any end-of-tour pranks? Not for today. The bus played a prank on us all this morning by not starting when we were getting off the ferry in Dover. Which meant several hours of waiting in the terminal there before we managed to get ourselves to the venue by cars and such. Can’t get any more pranky than that I guess. The first and the last. And then all the songs in between. It’s hard to choose a favourite like that because it differs from time to time. Sometimes I really get into the groove on “Gettysburg”, and sometimes I just spew all my aggressions out during some of the harder songs. Two songs that I always get in the mood during are “Tombstone” and “Rome is Falling”. They are just very fun to play! I have no clue (I’ve never seen one myself) but we always give 100% on stage and work to get the audience to tag along, so hopefully you can expect some fun energy. Is there even anything called fun energy? Maybe “positive” is the better word. And hopefully some good music. What’s the wildest thing you’ve seen or done at a gig / festival? Well, maybe my guest appearance at Noch Ein Beer-fest with Sabaton can qualify here. I got shifaced and was going to play “Wolfpack” with the guys. It ended up with me getting naked and dancing on stage. Not a pretty sight I’d say, haha! If you could open for any band in the world (living or dead) who would it be? Led Zeppelin maybe. The music wouldn’t match at all I think, but I don’t care. I’d just watch their show afterwards. Were you war-history nerds before writing the music, or does the music encourage you to research? I can honestly say that I wasn’t. And I’m not that much of a nerd nowadays either. Though I have realised the importance of it, and have gained a lot of interest that way. I’m into history way more now than I ever was before. Have you uncovered anything new or anything that surprised you while writing researching lyrics? There are always things that show up along the way. Heard maybe a thousand stories (slight exaggeration) along the way, and some have been extremely fascinating. Though I cannot name one straight out of mind right now. Are there any conflicts you wouldn’t consider writing about? Conflicts that are going on at this very moment, or are still very close in time are very touchy. No matter how much you are careful when writing there are people that get upset. Can be good if you wanna have a controversy or something. But we better keep a bit distant to that anyway. What is your favourite historical event? There are too many to chose from. But I prefer those that are pretty well-documented when you know that you can get the right information. But one that I really like is the Christmas Truce during WW1. A very beautiful story in all the misery. Kelly Carpenter has been with the band for a year now. How is he fitting in? Like a glove! If that’s a good comparison? We were a bit nervous before we met him. What if he was a douche-bag? Or a diva? That would have been a disaster. The ride down to the airport to pick him up was quite nervous, but it took maybe 15-20 minutes and after that it felt like I had known him for years. We get along extremely well. It finally felt like everyone was on the same page in the band. How have you found the transition from 6 members to 7 to 5, especially when playing live? We never actually got to do any gigs in the 7-people line-up. So it wasn’t much of a hardship to deal with. 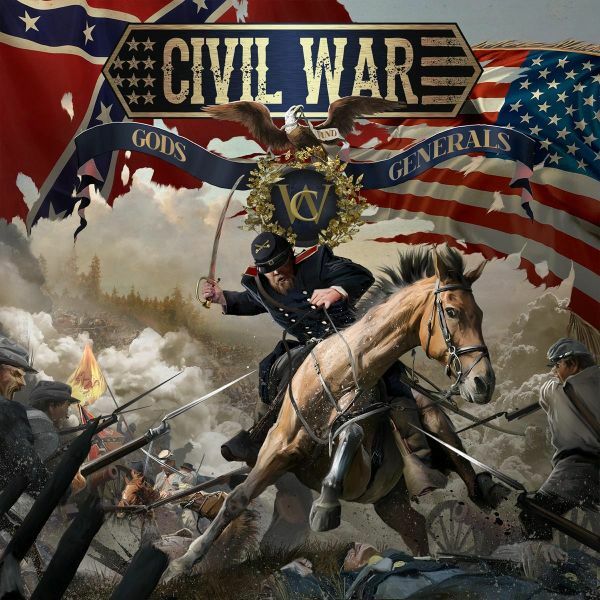 The only tricky thing was to figure out who would play what solo on “Gods and Generals”, but we solved that pretty well at least. Our esteemed editor asks “is banana on pizza a Swedish thing?” because Sabaton have tried to convince him that it is. I haven’t seen it anywhere else at least. And it’s damn delicious! What are your plans for the rest of 2018 – are you playing any festivals this summer? We have some festivals coming up but mostly we are gonna concentrate on recording new material with Kelly to show the people what he’s made of. Then we are gonna concentrate on the album that we aim to have out in the end of this year if all goes as planned. 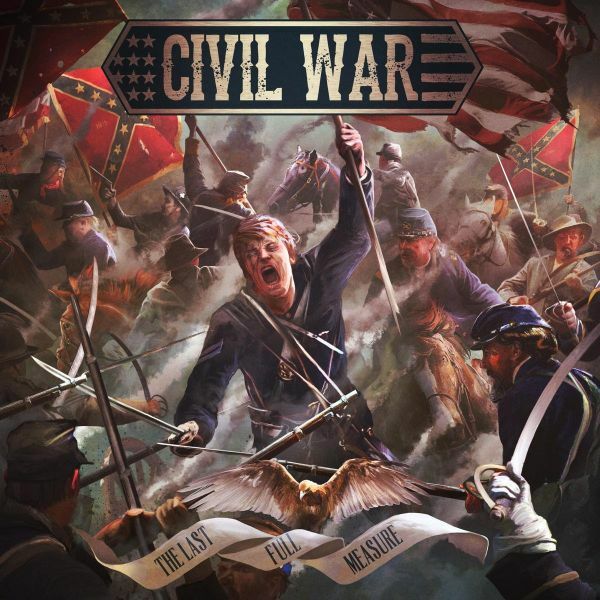 So watch this space – new Civil War music may be coming to your ear-holes later this year!